Welcome to the Clayton Homes complaints department brought to you by HissingKitty. Experienced poor customer service? We make it easy to file a formal complaint against Clayton Homes online. Simply use our free form and your feedback will be instantly forwarded for review. Need to contact the Clayton Homes corporate office? We have the mailing address, phone number, and email address listed below. First of all. In November, we went to look at this house n decided to buy it, so we got a loan to get it. we dealt with Tom Wilson . Which he had on this lot. He told us that from start to finish it would take only 3 to 5 day to get it all set up . That's with the skirting n all done. that was 3 months ago. Will . the home is all set up except for some things like the skirting n the leak stain n the doors done right. We let Tom Wilson know from get go that we had handicap grand kids n we needed everything thing done by a certain time frame n he agreed that it would be done. First it was 3 to 5 days . Then it was 10 days. Then it was right be Christmas ,then it was after Christmas, but we did not get our home till January 3 or 4 th . now we still don't have the skirting up an it is feb.6 ,2019. and in the middle of all this we ended up losing one grand kids. He died. n we lost a grant to have wheelchair ramps put in for the kids. We have been getting nothing but a round around from Tom Wilson.SO there for ,we will be contacting a lawyer to see what can be done. Ty. Closed on our home Aug 31, 2018. Prior to closing there were issues addressed and was told that "parts are on order". Once we moved in we put together a punch list of items. After two months nothing! Several phone calls and emails and was told manufacturer has "discontinued" the model and no parts are available.I asked where this left me, was told,"can't help you!" We have a list of 57 items including a roof leak and the selling dealer refuses to take care of any items. I purchased a new home from Clayton Homes and have talked to the factory that built it and can’t get anyone to fix the house for me. We have had a leak for over a week that they haven’t fixed, we can’t finish the siding on the outside because the factory won’t fix it, we can’t finish the inside trim work because the factory won’t fix the walls, the house wouldn’t go all the way together On one end, there are humps in are floors in several rooms, the linoleum is cut and has stuff under it in all linoleum areas, the carpet has paint in it and is cut in several places, our drawers fall apart, our roof vents aren’t sealed, our guest bath tub isn’t attached to wall and moves, we had electrical problems we had to fix our self’s,our doors won’t latch properly, we can’t use our master shower cause it was never finished or built properly, we have several windows that won’t work, all the drywall in the home from the factory is finished poorly, our closet ceilings are painted the same color as the walls, the ceiling texture on one half of home is different than the other half, etc. the list goes on. There is no excuse for this to go on and on. It needs to be fixed immediately or we are going to do the arbitration and then contact an attorney. well all those bad reviews mean something by all means don't buy from Clayton homes in grand junction Colorado.here it goes sorry its going to be long. closed on home in November 2017 lived 160 miles away from new home have 3 grandchildren and my daughter and disable son that lives with me. so we decided to wait until kids were out of school to move in. went to new house on weekends and when ever i could make it there. did walk threw before closing there was a cracked window in bedroom. the guy told me they had to get everything that needed fixed approved threw manufacture that they couldn't just go to local hardware store and get parts. alright understandable.so over winter which was very mild I noticed i was going threw a lot of propane kept telling the lady at Clayton homes something is wrong i notice air coming threw windows and when it rained i notices water on the inside window sill so told them about it and there was other little things that needed fixed she said she would have guy look at them when he came to fix other things . ok called guy the day he was there fixing things i couldn't make it there to meet him asked if he checked windows he went into this big lecture about the 60 mile a hour winds out here and sideway winds how all windows leak in those conditions, really come on, told him about back door really hard to open sticks he told me he would grease the rails and dead bolt fix it right up. yep f****** yuppy. sad thing is he really greased it. well never heard from Clayton homes for awhile couldn't tell if windows were fixed. hired a guy to put central air in when he was done tells me the ducting was just laying on ground huh thats why i went threw 1500 dollars in propane.he told me he taped it up thought it was good to go. got call to rate Clayton homes and anything less then 9 not acceptable told them a 1 lady asked why, told here she said someone from corporate would call within 24 hrs. so about a week later i get a call from corporate missed call he left voice mail. well had my ac on house wasn't cooling off had my son look at ducting it came off again and the ducting was hung with yellow caution tape was sagging on ground ,really . My son zip tied it on as good as he could. called corporate back told jean about the issues and it had been 6 months and nothing had been fixed window ,ducting, cracked shower surround. he said he was driving if he lost service he would call back. you guessed it he lost service never called back. But things got fixed the following week. finally moved in around June 6 . tried calling jean no answer called Clayton homes in grand junction about ducting and tile coming up behind toilet she sent someone out. guy came taped ducting up again and put straps up. masking the problem. well yesterday seen water top septic system called a local place to look at it he opened septic up, box setting on top with electric box in it and wires hanging surprise my septic pump never got hooked up all pipes were backed up called Clayton homes wanted to speak to Shawn Ruse he was in meeting left message got call back they will be out next week to fix it. really should of been here today. It got pumped hope it last until they get here. It has been a nightmare from the beginning . we were living in a 800 sq ft home moved here Delta Colorado bought a new 4 bdr home on 15 acres so my son and grand kids could roam and play ride bikes 4 wheelers be happy. well that dream has died hard. Clayton homes just sends out yuppies that masks the problems until the 1 year warranty is up they got there money good luck in getting things fixed. really no sewer new house so many problems. I'm a 48 year old single mom staying home to take care of disabled son fixed income. How am i to know if the sewer is done right or anything else was done right. how in the hell did anything pass inspection. did a inspector even step foot on my property? Am i even suppose to be living in the home?how could there even been a go ahead to move in.thats another story. its so screwed up all the way around. buying a home is stressful enough. I can't sleep so worried about everything falling to pieces. can't anyone do there job anymore instead of just passing the buck. don't buy from these guys if you have any other options do it i wish i would of waited for something else even if it took years. these guys don't give a s*** about you or your situation. but then again if the job was done right in the first place it wouldn't matter. if you go threw them hope you have better luck then i am. Oh where do we start? We got a loan on this house through E.J. Wolmack. This house is your Patriot Hud. I live in N.C.and I have to tell you that this house has been nothing but problems since we moved in two months ago. I worked for Champion, Summit Crest, Titan, and Redman homes for 16 years straight and I know all about how they are built to what you can get by with. I'm not the one to mess with when comes to repairs on the house that your factory let go and out final finish. First of all we have a list that has been turned in to Clayton Homes. The newest list now is, there is water damage everywhere, the roof is leaking in several spots. The range vent pipe flashing is leaking on the microwave through the microwave on to the stove and on the floor. that's the major one so far. This house needs to have 30 year shingles on this low pitch or ice shield under the 15 year shingles. AND PLEASE DONT TELL ME TO CALL THE FRIDDARE FOR THERE WARRANTY I KNOW BETTER. The p traps were not tight under every sink causing water damage on bottom flooring of the cabinets. Dishwasher is leaking on to the floor from poor installation. Williams, field manager said that clayton homes would take care of everything. His son came out to fix the important issues of the house before we moved all our furniture and what not in. He did fix the walls but not the floor. It has not been touched. It's been two months and got a call from a new service guy that currently is doing these repairs on the outside. We just had a big rain and he has left the fascia cement board,(hardy plank) off exposing the O.S.B. fascia framing to the rain. We all know what's going to happen to that O.S.B., well the same thing that is currently happening now under the linoleum in the hall way, starting to bubble and separate from the glue de-bonding. I'm not going to put up with this being dragged out and more damage to the house accumulating faster than ya'll can fix it. This is just one guy that I do believe needs some help. I am taking videos and pictures of all the damages. If we do not get something going here in the next month I will be talking to my lawyer and will be forced to proceed to make claims with your insurance company and or companies. Very disappointed in the service and the build of the house. There are several cosmetic issues that are new as well. Wishing I never got a Clayton home now. I was told so many good things about clayton homes that I thought I would give ya'll a shot, but now I'm seeing that I should have bought a Atlantic Home that I also worked for. Sincerely ( Please take this house back )Richard Wilkes. PS. I do not want to get into the issue of manufacturer verses set up crew with issues with this house. I just want it to be right.I was going to attach pics and vids but they are to large to send. A few months ago we decided to give Clayton Homes in Charlottesville va a try, we went in and met a guy named Michael he sounded like he knew what he was doing in the beginning and we trusted him he rushed us for the deposit and we did everything he asked on time! Once he received our deposit he never contacted us back unless we pressured him! We had chosen a land that we wanted and we even got down with our pre approval process. He never checked on us and he never went and found out about the land like he said he would in two days he lied! And because of him we lost the land we wanted and when I emailed him about it he said that he would get info on the land and this is over a month after he said he would have gotten it done! We messaged the guy about the land and he told me that the land was sold of it was that easy for me to find out howcome he couldn’t over a month ? After I told him we wanted our deposit back he was trying to get us to buy a different piece of land that we do not want because it will end up costing us more due to his unprofessionalism! And he told us he would get back to us about our deposit and I have emailed him and he has not responded even after telling us he dropped the ball with us ! We are not the first people he has done this to! I've been waiting for 6 months wit 90% of my belongings in storage.my home is on the lot in rock hill South Carolina.my lender is ready to close.just one problem.the appraisal came back ten thousand short of the purchase price.Now miss Barbara Lapolice either wants me to come up with more money or try a different lender which I have no idea what that has to do with the property appraiser.I don't have any more money to fork out for another appraisal.I've already spent money on this one plus the permits and the money given as due diligence to Clayton and the land owner.it a shame to have to wait 6 mos for this disappointment while the house is on their lit and we've chosen land and walked it and chose where the house will sit. The Sulphur Springs Texas location: The manager Steve is so unprofessional. Was in the office looking for a home. I overheard him telling a sales lady: don't make the sale don't come back, tomorrow or for good! There was pictures posted in office of sales people on other people's bodies. He also said, "she's not the f***ing boss around here"
Me and my wife purchased a home from the Evansville Clayton homes. We have been living in the house for over a week now. We knew there would be issues and not perfect. I have attached a list of the issues we have. I don't know if this is normal or an excessive amount of defects. The plumbing is the biggest issue. We originally had a water leak when the water was first turned on , and dinner b of the faucets will just trickle out water. They had a plumber come out and check. I figured out the water leak was from the ice maker and replaced the line myself. But the plumber came and checked the faucets. He didn't get the master bath faucet to work, said it was bad. But the other ones he got working. But the ones he got working are the ones that have leaked water where they weren't before. And the kitchen sink drain pipe wasn't even connected all the way and blew off when we tried the dish washer and gushed water everywhere. I would have thought the plumber would have double checked for leaks after he got them working. This is supposed to be are dream home and it seems like a nightmare so far. We knew it would be perfect, and I don't know if it's the home manufacturers fault on some of this out not. But we want some reassurance that everything will be back fixed. There seems to be a communication problem, between us and Evansville. I always have to call them to get an answer for anything. I had contractors at the house I didn't know where coming. Just seems like I have to stay on top of them to find out anything. I just wanted you to know what was going on, and I put it on an email so I would have more of a record of it. My wife has been very upset and it's really stressing her out. I really like Scott and think he is a great salesman, he'd is the reason we bought from there. But we just don't have overwhelming confidence in anything this time. It might just be bad luck on our part. We just want out beautiful house the way it is supposed to be. Clayton Homes will not let us close on our land and home package. My husband and I were working on buying a land and home package from Clayton homes of Denver. We were supposed to close a couple weeks ago but they found out that the land and manufactured home was never purged. The purge has to be done before we close. Clayton homes will not do the purging they claim they've never done it before and that it is always done by the mortgage company after closing. My lender has talked to a lot of different title companies that do this and they all said the same thing it has to be done before closing. We went to talk to the manager Phil Dickson and he didn't give us any other options. He just said they didn't do it and it was not their fault. The home was going to be a total of 245,000 and it was appraised at 310,000 as soon as we met with him he said he wasn't holing us to a contract and we could back out if we wanted to. We decided to back out because we have been waiting for a very long time to have this house and he never mentioned another option for us. We are a very young couple and we feel like he is taking advantage of us. When he sells that property he will be getting a lot more money in equity that is why he is letting us go with no other option he didn't even try to help us. My husband did a lot of the labor work for the home so that it would be cheaper on our loan and he is not willing to pay the labor work at the price my husband would normally charge another person for the same work. We bought the doublewide in late 2014. We had issues from the get go. The base had been marked centered but when they set the home it was too far to one side. Alamo homes winded up having to add base to make it centered. We moved in on Feb. 2014. Within a couple of months, we had a heavy rainfall, one of the windows in master bedroom leaked in. Alamo homes sent their crew to fix it. They came out twice more for same problem. On April 2015, it rained hard again and water leaked again. I called Alamo Homes and their response was that the warranty had expired and the problem was due to normal wear and tear. Searching for a perfect home may be very difficult. But Clayton Homes can do the right job and help get the best. 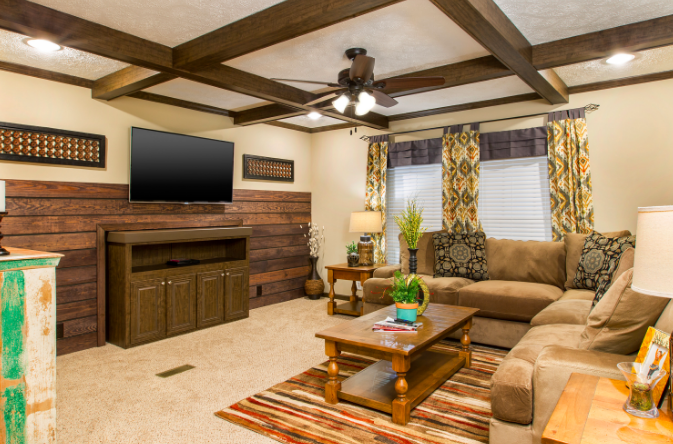 Comfort and quality in your new home for less money. I feel they have the best housing value for every lifestyle. Clayton Homes are very professional and these guys know what they are into. Clayton homes ensured that the house I purchased was the best one without any issues and proper facilities were available. Thanks to CH for ensuring I get the best. 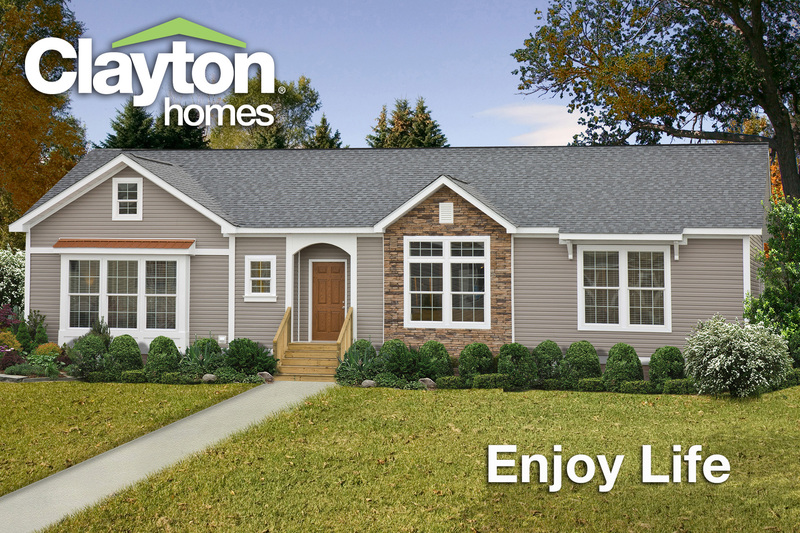 Have feedback for Clayton Homes?